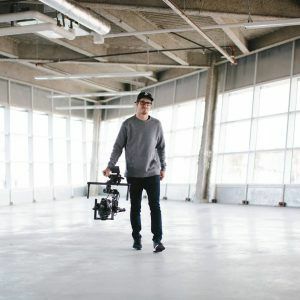 This year, Canon will not only be presenting YouTube sensation Peter McKinnon on the main stage, they will also have Celebrity Chef David Rocco, filmmaker Rupert Walker and the incredibly talented photographer Liam Wong presenting in their booth over the course of both show days. Don’t want to miss any of these talented presenters? Register for your free 2-day ProFusion Expo Pass today! November 7 – 11:30 a.m. & 3:30 p.m.
November 8 – 12:15 p.m.
Come meet International Celebrity Chef, TV host and Executive Producer David Rocco of the hit TV series: David Rocco’s Dolce Vita, Dolce India, Dolce Napoli and his latest series Dolce Africa. 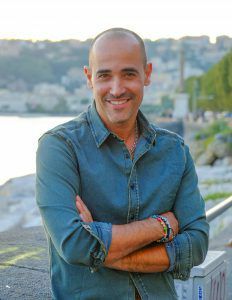 His shows have aired in over 120 countries worldwide on the National Geographic Channels and in Canada on Food Network and TLN Telelatino. Hear David share stories from past shoots, his latest adventure in Africa, and his experience of shooting his fast-paced documentary-style series exclusively with the Canon C100 Mark II and Canon lenses. As well, David speaks of his 360 degree approach to creating, pitching and making a series, including worldwide distribution, and his thoughts on where the industry is heading with TV in this new digital era. “A global celebrity whose profile continues to grow, David is seen in over 120 countries around the world– including National Geographic People, Fox Life, Food Network and Cooking Channel, BBC Food, Hola! TV, and TLN. In addition to his own programs, David can be seen on television’s Donut Showdown, Iron Chef America, and Top Chef Canada. David has been a trailblazer in food television, breaking down barriers and stereotypes to bring cultures together through the love of sharing a meal. November 7 – 2:15 p.m. & 6:0 p.m.
November 8 – 10:15 a.m. & 2:00 p.m.
Rupert Walker will discuss the Canon EOS C200 and it’s use on the set of his short film titled “The Shadow Side”. During his presentation, he will talk about the highlights of the camera and how it can be applied to a number of different productions. Rupert Walker is a freelance Director based out of Victoria, British Columbia. He’s worked on a variety of projects with Subaru, Red Bull, and has received numerous Vimeo Staff Picks for his work. You can find more of Rupert`s work on: Vimeo, Instagram and Twitter. November 7 – 1:00 p.m. & 4:45 p.m.
November 8 – 11:30 a.m. & 3:15 p.m. If being named to Forbes list of 30 under 30 as a Graphic Design Director at Ubisoft wasn’t enough, Liam Wong picks up his first camera (EOS 6D) prior to a Japan trip only to release a photo series that caught the internet by fire. By capturing real moments and transforming them into the surreal, Liam’s “Tokyo at Night” series garnered worldwide acclaim and has been shared by The Smithsonian, CNN, Creative Boom and High Snobiety among others. Now, equipped with Canon’s full frame EOS 6D Mark II, Liam will reveal his latest photographic experiment. “Liam Wong is an Art Director & Photographer, passionate about creating and designing meaningful aesthetics. Recently featured in Forbes Magazine’s 30 Under 30 list. 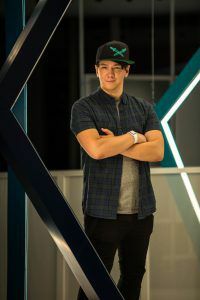 Originally from Scotland, in two years he progressed from graduate to director; becoming the youngest director at the largest games development studio in the world. Outside of video games, he began learning photography and his first series ‘Tokyo at night’ amassed over a million views worldwide. Featured by Adobe, Canon, Cultura Colectiva, Televisa, CNN, HYPEBEAST, Saatchi Gallery, The Smithsonian and more. You can find more of Liam`s work on: Instagram, his website or on Twitter.